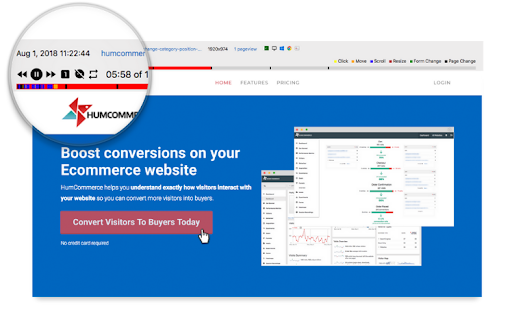 HumCommerce is a conversion rate optimization (CRO) tool. The USP of this tool is that it provides behavioral analytics (Heatmaps, visitor session recordings, etc.) in addition to traditional analytics (traffic source, Traffic data, etc.). You can record visitor sessions to observe what they do on your website. Identify sections where your visitors are getting confused and optimize for better conversion. Know how customers interact with your website by generating heatmaps of different pages of your website. 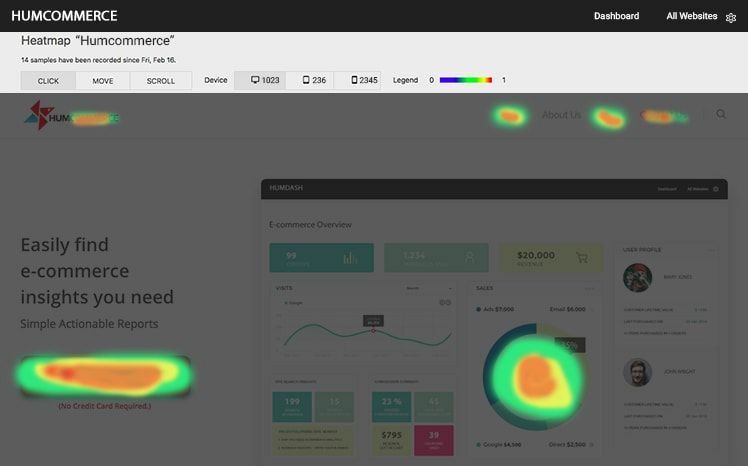 Heatmaps represent visitor interaction (click, move, scroll data) for different devices. 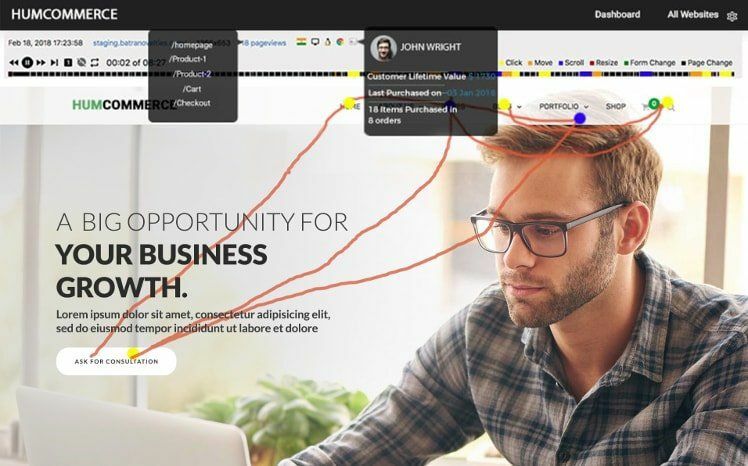 Identify bottlenecks in your sales funnels and optimize for better conversions. Get a representation of your sales funnel and observe the steps at which visitors abandon your website. Improve your funnel conversion rate to maximize profit. Set up A/B testing experiments to compare two versions of a landing page. Compare landing pages to find which buttons, the color of CTA’s, or website copy works best to increase conversion rate. Analyze form fields to see where your visitors drop off at. Boost form completion rate by adding/removing form fields. Check out the performance of your products individually, based on the product conversion rate, revenue, visits, etc. Product performance tells you which products you should be focussing on to improve sales. HumCommerce provides abandoned cart data in which you can check how the percentage of visitors ending up abandoning the cart and how much revenue was left in the cart. Obtain in-depth knowledge of your customers. Know the source of all the sales that happen on your store. Analyze the sales data to improve the conversion rate of your website.